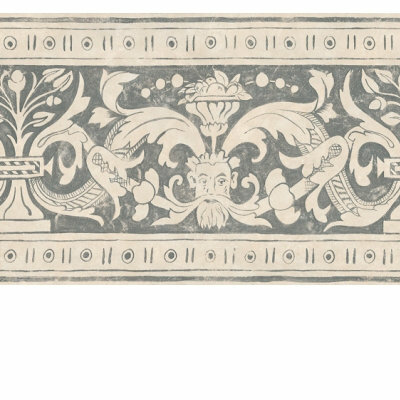 This striking Elizabethan border is an example of an antickework charcoal scrolling design on a off white background. Coordinating wallpaper available. Other colours are available. Please request a sample for true colour match. 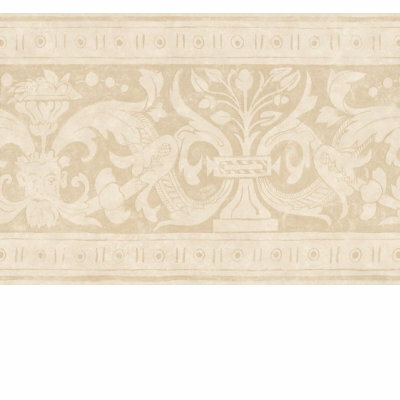 This striking Elizabethan border is an example of an antickework gesso beige scrolling design on a off white background. Coordinating wallpaper available. Other colours are available. Please request a sample for true colour match.